My dream is to educate horses and be able to do it in a way that the horse always understands what you´re asking from it. I continue to work on refining my riding and my way of thinking, so I am able to work with each individual horse in the best possible way. 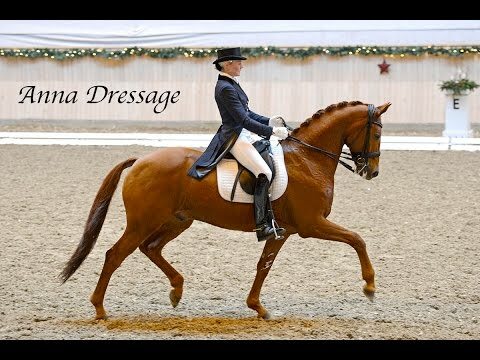 My dream is to have a stable with happy and well educated top quality dressage horses! My dream is to ride the big dressage championships – to enter a big arena with a fantastic horse and experience the feeling that after all hours, days and years of training, the interaction with a big, beautiful and sensitiv 600 kg animal is working here and now! The highest level of dressage must be when you can feel that your horse trusts you, listens to your smallest aids, fully concentrated on you, because it wants to be with you – and because it also loves to show off and do its best, in front of the crowd, together with you. I would like people who are not even into dressage, feel the magic between horse and human, and get goosebumps after a great performance. I would love to show people that dressage is fun and fantastic, and give them an incredible moment with something I love to do!